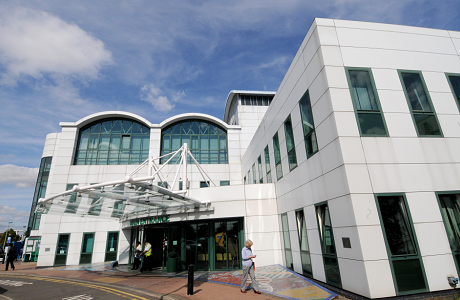 From 1 December 2017, Surrey and Borders Partnership’s Mindsight Surrey CAMHS will take over responsibility for providing all follow up appointments for children and young people who have been diagnosed with ADHD and those with both ADHD and an Autistic Spectrum Disorder (ASD) from Ashford and St Peter’s Hospitals. Why are ADHD services transferring? What is Mindsight Surrey CAMHS and what does it provide? Who should I contact about my child’s ADHD treatment from 1 December 2017? What will happen about my child’s appointments? What do I do if my child’s medication needs renewing? What does ‘shared care’ mean? When should I contact my GP about my child’s care? Why is my child’s care being reviewed? Why has my child been discharged from the service and what do I do if I feel they need to access it again? My child is currently stable, but sometimes feels they need mental health and emotional support. What is there that could help? How will Mindsight Surrey CAMHS know about my child’s condition? Why can’t my child continue to be treated by their current team at Ashford and St Peter’s? 1. Why are ADHD services transferring? The transfer means that one organisation will be responsible for all ADHD diagnosis and on-going treatment, ensuring continuity and consistency of care. In the longer term, it also provides the opportunity for a more joined-up approach between NHS services for young people who have ADHD alongside a mental health condition or learning disability, and for those accessing community healthcare services. This is because all referrals for these services are handled by the same Mindsight Surrey CAMHS One Stop call centre. 2. What is Mindsight Surrey CAMHS and what does it provide? Mindsight Surrey CAMHS provides a wide range of treatment and support for children and young people with mental ill-health and learning disabilities living in Surrey. The services are designed to support children and young people when they begin to feel emotionally or mentally unwell and build wellbeing and resilience to reduce the chances of their condition becoming more serious. These services include diagnostic and non-drug therapy services for children and young people with ADHD. 3. Who should I contact about my child’s ADHD treatment from 1 December 2017? 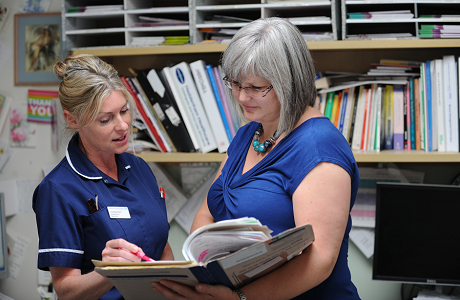 You should wait to hear from Surrey and Borders Partnership NHS Foundation Trust for details of your next appointment. If you have specific concerns, you can also contact the new ADHD team directly on 01932 722 764. 4. What will happen about my child’s appointments? Until the 30 November 2017 you should attend appointments at St. Peter’s Hospital as planned. You will see a different consultant for your appointments in future. If you have an appointment scheduled from the start of December onwards this is therefore now cancelled and new appointments will be arranged, in order of priority. You should wait to hear from the new provider about your next appointment. If you feel your child needs to be seen more urgently, then you can contact them to discuss this on 01932 722 764. ADHD services will continue to be provided from the St Peter’s Hospital Site in the buildings managed by Surrey and Borders Partnership and from the Ashford Hospital site. 5. What do I do if my child’s medication needs renewing? Ashford and St Peter’s Hospitals and Surrey and Borders Partnership are working together to ensure that children and young people are not left without essential medication during the transition period. If your child’s ADHD medication is usually prescribed by your GP, please order your repeat prescription as normal. Ashford and St Peter’s Hospitals have been actively identifying children who have ADHD medication which can only be prescribed or reviewed by a consultant and issuing repeat prescriptions where necessary. From 1 December 2017, Ashford and St Peter’s Hospitals are unable to prescribe any further ADHD medications and you should contact the new team directly with any medication enquiries on 01932 722 764. 6. What does ‘shared care’ mean? This means the management of your child’s ADHD is shared with your GP. If your child is taking medication to help manage their behaviour/ADHD that your GP provides as a regular prescription, then this is probably a shared care medication. Often this has meant a six month review with a consultant. Going forward, it should mean you have two clinical appointments in a year; one with a consultant who supervises and reviews the prescribing and the other with a GP who agrees to prescribe the medication regularly. 7. When should I contact my GP about my child’s care? If your child is under a shared care arrangement, your GP has agreed to do a review following your last consultant appointment at St Peter’s hospital and prior to your child being seen by Mindsight Surrey CAMHS. They will contact you regarding this or you may wish to make the routine appointment at your general practice. However, if you are registered with a Surrey Downs GP (East Elmbridge, Epsom, Leatherhead and Dorking areas) the review will be completed by a consultant instead of your GP. In future, the review may be completed by your GP but arrangements for this are not yet in place. 8. Why is my child’s care being reviewed? GPs are helping us by reviewing children and young people on a case-by-case basis to support the transition and ensure your child is seen by the most suitable clinician. Following this review your child will either remain under the care of a consultant, begin a ‘shared care’ arrangement (see Q6) or be discharged from the ADHD service. 9. Why has my child been discharged from the service and what do I do if I feel they need to access it again? It’s good news that your child is currently stable and not on medication, which means there’s no need for current clinical supervision and has therefore, been discharged. If you see a change in your child’s behaviour or there are new concerns, please make a routine appointment with your GP to discuss a new referral to Mindsight Surrey CAMHS. 10. My child is currently stable, but sometimes feels they need mental health and emotional support. What is there that could help? Speak to your child’s school counsellor, social worker or GP about being referred to Mindsight Surrey CAMHS. Mindsight Surrey CAMHS One Stop referral centre can link you with specialist NHS services and 14 partner organisations, providing mental health and emotional support in Surrey. This includes online counselling from Xenzone and face to face support from organisations such as Eikon. You can also visit the CYP Haven on a drop in basis, no appointment is needed. This is a safe space, open during evenings and weekends, for 10-18 year olds to talk about worries and mental health in a confidential and friendly, supportive environment. The CYP Haven is open on Mondays and Wednesdays, 4pm – 8.30pm, and Sundays, 12noon – 6pm. 11. How will Mindsight Surrey CAMHS know about my child’s condition? Ashford and St Peter’s Hospitals and Surrey and Borders Partnership are working together to transfer details of your child’s care and treatment. We will ensure the new ADHD team have secure access to all relevant information about your child including all the care records. 12. Why can’t my child continue to be treated by their current team at Ashford and St Peter’s? 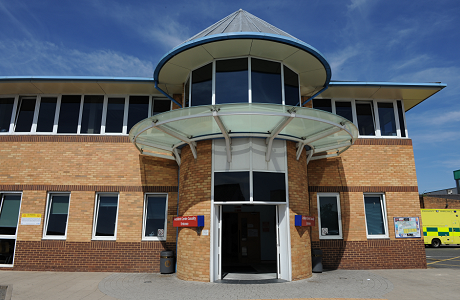 Whilst Ashford and St Peter’s Hospitals are very proud of the ADHD service they have provided over the years and their specialist staff, they are unable to continue running the service for a variety of reasons. Moving the service to Mindsight Surrey CAMHS will provide many benefits as previously outlined and all of the organisations involved feel this is the right long term, sustainable, solution. The team will no longer be in place from December onwards and the medical staff who supervise your treatment and care will not be transferring to the new provider.